Our goal is to teach people the joy of music and how to bring that joy into every aspect of their lives. Play Music is our flagship music education program. We believe that all students, no matter what their age, ability, or access to resources, can learn to play music and benefit from the process. Our curriculum is designed to help each student establish their own unique voice and their personal artistic process. As students progress through our program, they also develop life skills, such as creativity, self-confidence, and make connections between music and liberal arts curriculum, all while learning a musical instrument. By doing this, students form relevant and long-lasting bonds to music and will carry a love and appreciation for art and learning in every facet of their lives. We use games, movement, and play to teach students how to read, write, and play music, which makes learning fun. Unlike traditional music programs, we ask students what they listen to and build curriculum and projects based on the student’s musical preferences. So making music is always relevant and remains an important part of their self-identity. As composers, improvisers, and multi-instrumentalists, our teachers teach musical concepts across several instruments and styles, which keeps learning fresh and fun. As students change and grow, so does our approach to instruction. When teaching music, we utilize as many learning styles, borrowing techniques from dance, science, math, poetry and visual art to create a customized and interdisciplinary approach to learning music. The results are students make stronger personal connections to learning. That way lessons are learned for life, not just for tests. We know that no two students are the same. So we work with students to find their unique forms of artistic self-expression. By making music from the very first lesson to writing songs to improvising, students learn that there is no set way to be an artist and that every voice is special and important. Sound vibrations, whether intentionally or unintentionally created, surround us everyday. As invisible forces, sound waves shape the way we experience the world, often subconsciously and subliminally. That is why our classes are designed to challenge students’ percepts of music and develop an deeper awareness of music and their sonic environment. 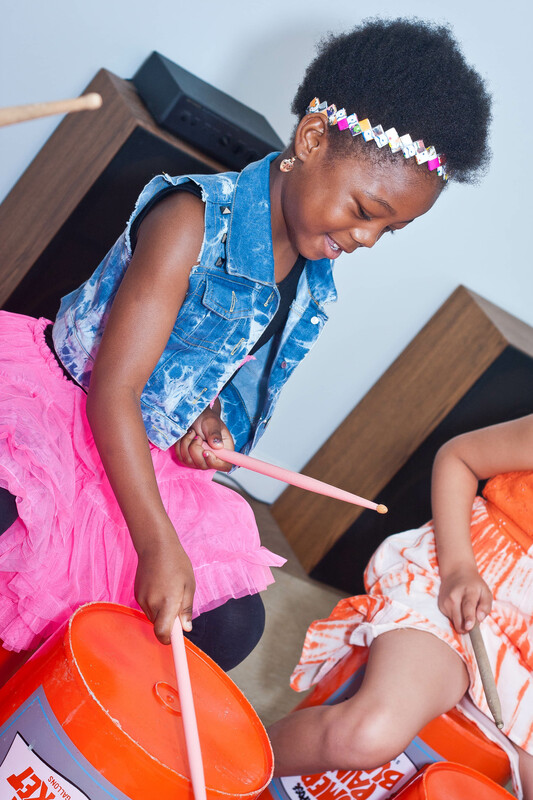 Through carefully selected games, experiments, and listening examples, students learn listening skills, an intentional approach making music, and basic music fundamentals. As students progress, they forge a greater understanding of sound and by extension, a stronger connection to their world through sound. 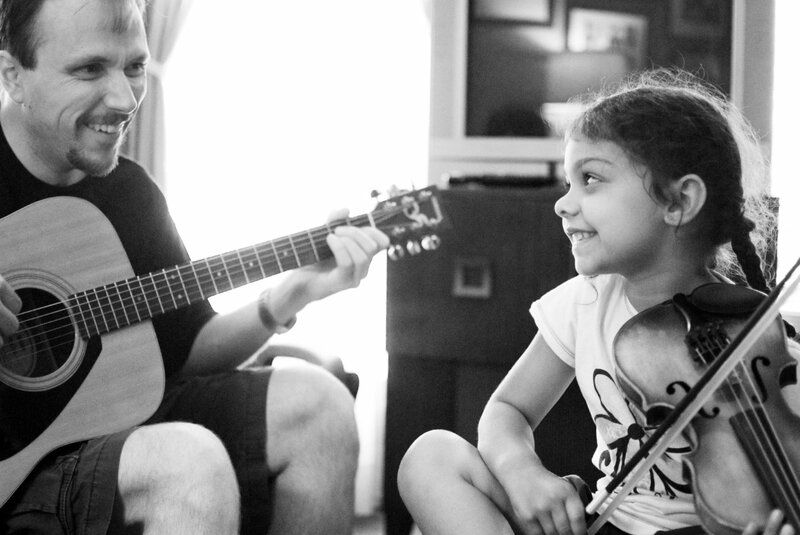 Play Music offers private lessons for students age 3 and up. Our lesson model encourages parents to help younger students learn at home and teaches families how to engage with music outside of lessons. As students learn to play music, we also teach them how to practice, to set healthy goals, and how to have a sustainable and happy relationship with music. A big part of learning music is how we engage with music outside of lessons, without the guidance of our teachers. So, we educate families about how to support their student’s musical growth and keep learning fun. Throughout the years, Play Music teachers have taught hundreds of students and families the joys of playing music. In that time, we’ve noticed that our students develop a different kind of relationship to music, one that is grounded in confidence, celebrates individuality and is, at its core, happy. Play Music students are confident in their abilities and process, as artists, and value others’ artistic contributions. They challenge themselves to take risks both in art and in life and make great strides to connect their art to other facets of life. Whether or not our students become musicians by profession, our program provides them with the skills and knowledge to express themselves and listen to their world with open ears. Transforming their world through art. 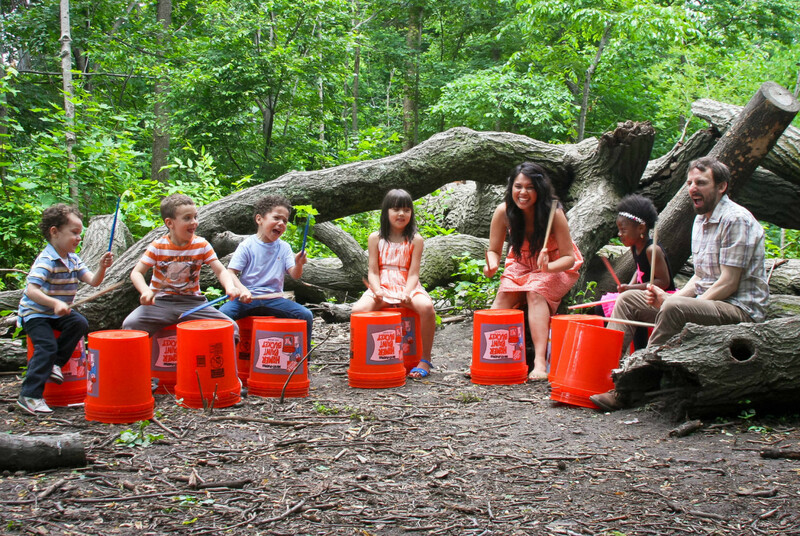 Play Music is committed to making progressive music education accessible to all students. As a Play Music supporter, your commitment makes our work possible. Consider donating today and helping a student discover their inner artist. Sign up for email updates and stay informed of concerts, events, and opportunities to join us in expanding awareness of music in our world.